In this world there’s two kinds of people: Them who rock, and them who stay on the dock. ShipRockers are the first kind. The kind of folk we want in the saddle for SRX: The Good, The Bad and The Skully. You can bet your six-gun totin’ chaps when we say we’re goin’ big for our 10th journey together, that ain’t no bluff. We’re headed west to where everything is bigger: The Great State of Texas. We aim to ride for 5-days and nights, January 26-31, 2019, from Galveston to Cozumel and Yucatán down Mexico way. It’s gonna be a wet & wild paradise of gambling, frontier women & booze galore, with bands of outlaws rockin’ the doors off the saloons from high-noon to the mornin’ light! Rockin’ hard and vacationing harder is the law in these parts. So roust yer posse, grab yer hats and holster that beer (for now). Come January there’s gonna be some abiding’ to do partners! 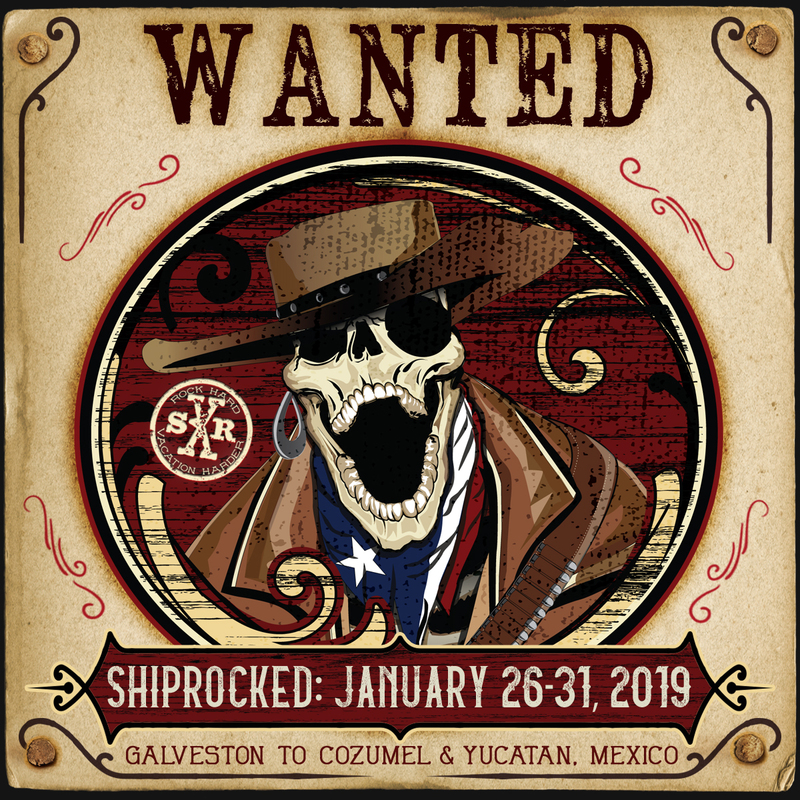 ShipRocked 2019 – Save The Date! from ASK4-TV on Vimeo.